For everyone happy to see the 007 and Indiana Jones movies, well and truly sent up, Unmasking The Idol will be a delight. And Duncan Jax (Ian Hunter) plus his trigger-happy almost human side-kick Boon are the perfect combination to do just that. This is a slick, cleverly scripted, quality production that guarantees an hour and a half of non-stop action, laughs and surprises. 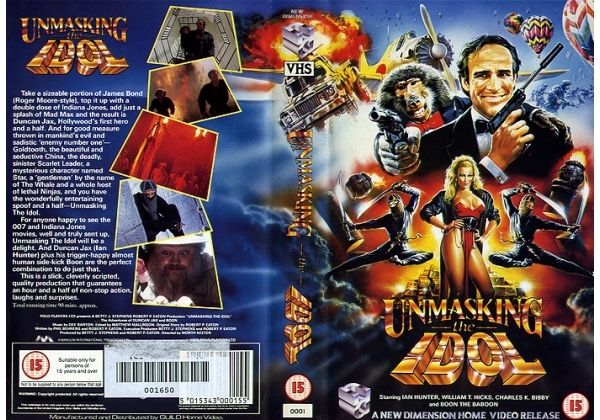 Or find "Unmasking the Idol" on VHS and DVD / BluRay at Amazon.